Fund a sports kit, help us find champions! We need your help to enable 1600 students (girls and boys) to play 5-day sports event in Ambala. They are all from the government schools. Art of Play Foundation works with 50 government schools in Ambala serving 6000 students a year. We would love to send you a token of appreciation- please share your postal address, name and phone number in the comment section, and we will get back to you. 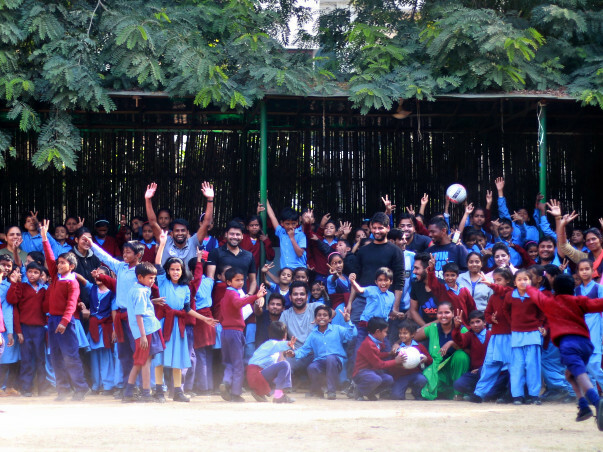 Art of Play’s mission "is to transform sports education in India’s government school." There are over 2 million nonprofits in India but we are one of the handful working towards providing a holistic physical education based curriculum in government schools. 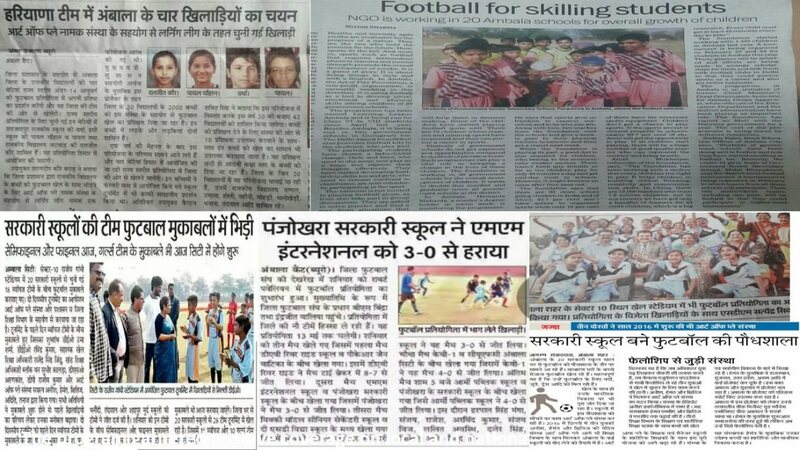 Last year, Varsha a standard eighth student from a government school in Shehazadpur, in Ambala, got her first ever chance to represent her school in an inter-school football league tournament conducted by Art of Play at the end of the school year. Just a few months after the tournament, Varsha went ahead to represent Haryana in football and became a role model for all the girls in her village. 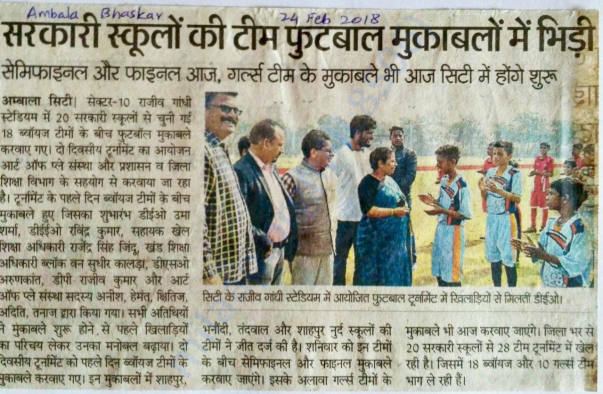 Today we need your help to support our effort of creating the same opportunities for 1600 children like Varsha, studying in the government schools of Ambala, to test their own capabilities in 3 different sports and become role models. A total of 1600 students will be participating in a grassroots league initiated, planned and executed by 50 teachers and the Art of Play Foundation team in Ambala. This league which will be conducted from December 3rd to 10th will have teams taking part in three sports- Kabaddi, Football, and Kho Kho. The tournament will witness 720 girls and 880 boys in action. Help us give every child in India the RIGHT TO PLAY! For any information please write anish@artofplay.co.in. Or call 8478919061. A letter of appreciation from a physical education teacher! Change is a kick away! This time we are organising a league for 1600 students in our ongoing sports education project in Ambala. Block level events are done, we are looking at our big district event. Help us to raise the remaining amount. Thank you, everyone, for donating. Currently, we are working with 80 government schools in Faridabad and Ambala. 6 of our girls have made it to the district football team. 1 of our girls has made it to the state team. 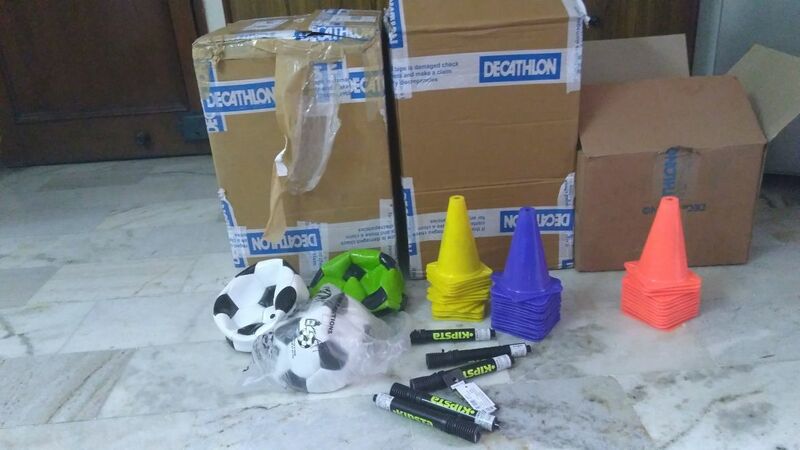 Guys, with your help, we have bought 50 football, 36 sets cones, whistles and hand pumps for 12 schools. We are so eternally thankful to you. Please spread a word about us to help buy first aid kits, portable goalposts and discs for every school. We still need to raise INR 48,100.